The Shenzhen, China-based telecoms company has made Hungary a key base in Europe, touting investments of US$1.2 billion in the country. The Trump administration, which wants to boost its partnership with Hungary and other central European countries, is warning that nations using Huawei equipment in critical infrastructure could open themselves to security risks. 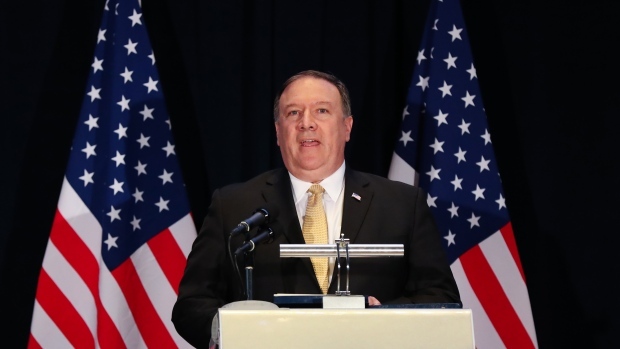 Hungarian Foreign Minister Peter Szijjarto, in the joint briefing with Pompeo in Budapest, pushed back against criticism that Hungary wasn’t doing enough to counter China’s influence, in particular Huawei. He noted that Hungary’s trade with China represented 1.2 per cent of the EU’s overall trade with that country and that any cooperation shouldn’t endanger the country’s partnership with the U.S.